Raw pine pollen powder: one hundred percent pure, completely raw, potent, selectly wild-harvested, cracked cell wall. Pine Pollen is one of natures most potent, dense foods and is uniquely restorative to the body, setting the groundwork for unparalleled regenerative wellness. Pine Pollen contains a full spectrum of nutrients with specific anti-aging compounds, including bio-available androgen hormones, raw amino acids, vitamins, and minerals, and dense antioxidants. Pine Pollen has a historical use in Chinese and Korean cultural for its strong regenerative and anti-aging dating back at least 2000 years (the first written mention of Pine Pollen as an anti-aging compound). 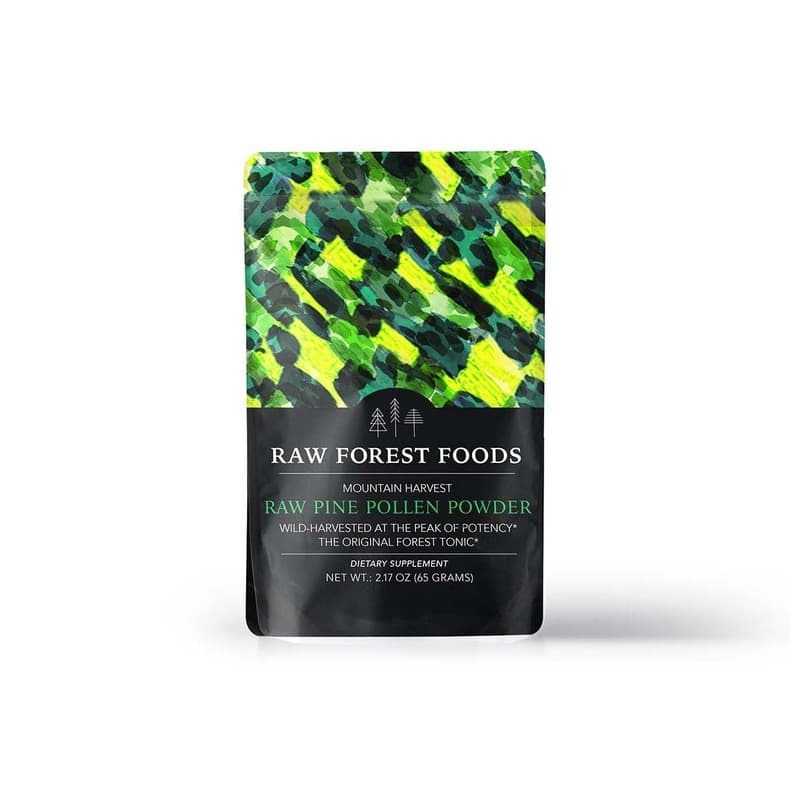 Today, Pine Pollen has been shown to increase and restore energy and to help find relief from fatigue, combat and reverse signs of aging, improve levels of free testosterone and other androgen hormones, and to assist in a healthy, strong, and regulated immune system. Pine Pollen has garnered a lot of attention in recent years because it contains phyto-androgen hormones, including androstenedione, androsterone, dehydroepiandrosterone (DHEA), and testosterone. Additionally, Pine Pollen contains gibberellins and brassinosteroids, plant hormones which have an adaptogenic effect on the body. Together, these compounds increase and regulate testosterone and other androgen hormones in the body, and restore healthy testosterone to estrogen hormone ratios. 100% fresh Pinus massoniana pollen powder.